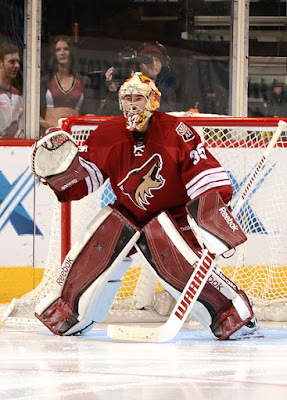 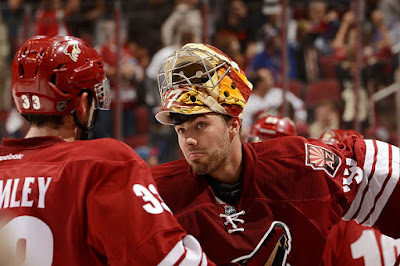 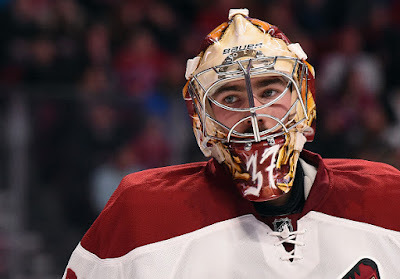 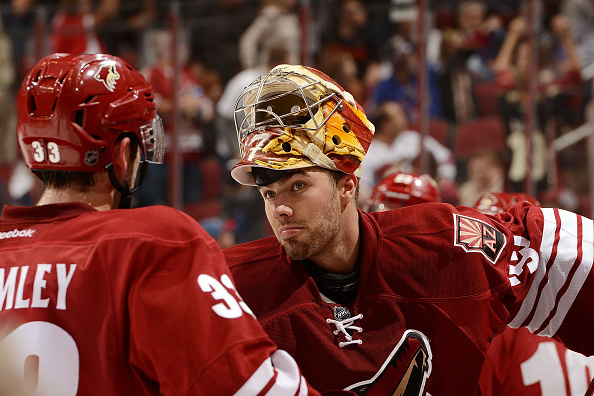 Domingue played in 7 games in the last part of the 2014-15 season for the Coyotes. 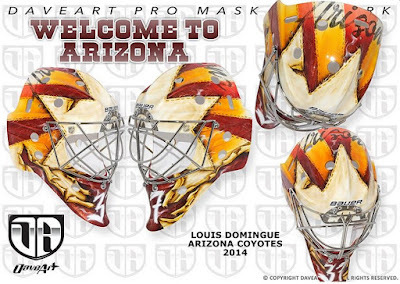 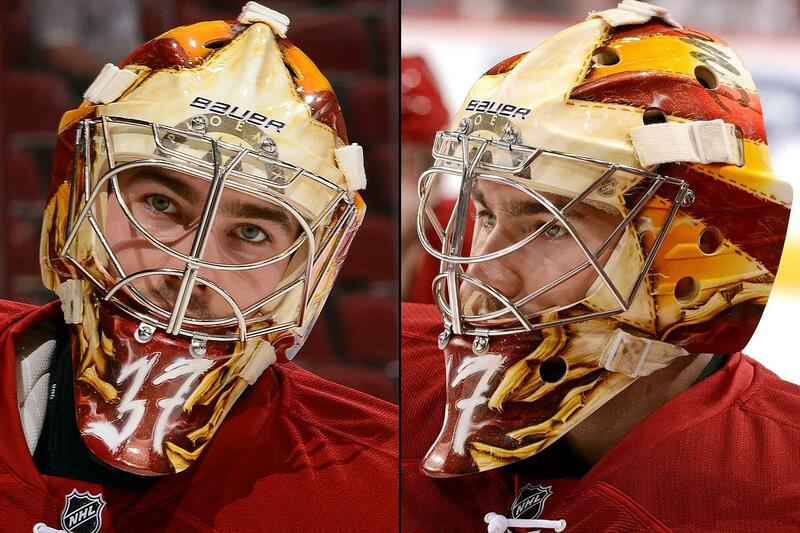 "The mask is all created in textile and it is totally inspired by the famous Welcome to Arizona sign. The star in the middle with the sunrise shine around it, of course all created in old school cowboys textile style. 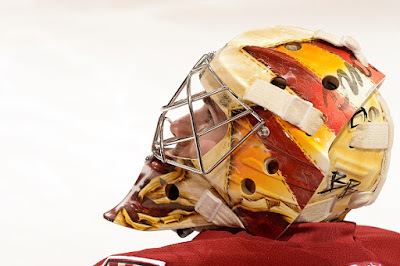 And if you look really close into the textile you will see all the cool Arizona Coyotes details..."